This is a tale of two bright decisions and two dumb ones, one pair long ago and one quite recent, and how the two pairs now threaten to disrupt our lives. The more recent bright decision was Adobe’s decision to offer its Creative Suite software not just for purchase, but for rental. This was an attractive option to people who were short of money, or who didn’t expect to use the software forever, or who wanted an opportunity to experiment with a lot of software for not too much money. Hence, a win-win decision: Adobe makes money by offering a product that people who wouldn’t otherwise be buyers in fact buy into. In case you have been on another planet for the last month, Adobe announced that all future releases of the software included in its Creative Suite, including the update that is scheduled next week, will henceforth only be available for rental, not purchase, although CS6 products will remain available for sale at least temporarily. To say that this was a dumb decision is to say that it doesn’t rain much in the Sahara. Worse, it seemed to many people that the form of the announcement was deliberately phrased to insult clients. The result was and is the worst public relations debacle in the desktop publishing era, and by far. Tens of thousands of indignant people posted, some again and again, flooding cyberspace with incredibly nasty comments about Adobe and its integrity. A petition against the move was approaching 30,000 signatures last I looked. Complaints about the legality of the move were filed with governments. Several other companies are moving in to develop products with which to target Adobe users. A day or two after the announcement, I said that this reaction was going to reduce the value of Adobe by about 15%. Since that time, as of this morning the company’s value has indeed dropped 10 percent relative to the NASDAQ index, a paper loss to Adobe of over $2 billion. That the outcry would be this extensive, even forgetting the condescending tone of the announcement, was easy to predict. I didn’t foresee, however, the ferocity, the pure animal hatred being vented toward Adobe. This eliminates most chances for rational discourse. Adobe can’t put any of its people in a public forum, online or otherwise, without being swamped by vicious comments, many of which are factually wrong. Adobe is now in a nearly impossible position. No company can survive for long with such a big percentage of their clients spewing hatred at it. But just reversing the policy won’t solve anything, it may actually make matters worse. This Monday, they are going to have to say something, because it is the official release date of the first versions of software, Photoshop (and others) CC, that will not be available for sale. More on that later. Go back a bit over a decade, for another pair of Adobe decisions, again one brilliant and one disastrous. The brilliant one was to offer big discounts to those buying four or five different Adobe products at the same time. Like the software rental program, it was win-win. My main program is Photoshop, and I was willing to pay a good price for it. The other Adobe products were of interest, but not at $600 a hit or whatever it would have been to acquire them singly. By offering the big discount, Adobe got more of my money, and I was glad to give it to them. And the same was true of many other users. The name of the new discount program was “Creative Suite”, which came in several combinations. Adobe then snatched defeat from the jaws of victory, by declaring that these four or five decisively different products would play by the same rules. Photoshop must issue updates on the same schedule as InDesign, a program that it has less in common with than Michelle Bachmann has with Bertrand Russell. Something modern like Dreamweaver, which gets many new user requests as the web continues its development, must play by the same rules as Illustrator, which was a mature product a quarter-century ago. There is no sense in putting these diverse programs on the same schedule. Worse, anyone who knows anything about how programming teams work knows that creativity and absolutely firm deadlines are enemies. Sometimes things go well, and if so, why not release earlier than plan? And if things go badly, and not all bugs have been squashed, should a product be released when it is known to be inferior? That second possibility, under the new policy, would never exist. Because in effect, Adobe top management was saying to its Photoshop team (and similarly to all the others: 1) we are choosing a date of October 17 (or whatever) of next year for your update, and this decision has almost nothing to do with whether it is good for Photoshop, and everything to do with marketing considerations and the needs of the several other teams in the Creative Suite. 2) you will absolutely, positively, unconditionally, be finished with your work by that arbitrary date next year, and if you are not, you will be severely punished; 3) you will also be severely punished if the product you propose to release on that date has serious flaws. This is a recipe for mediocrity. Faced with this ukase, the logical response of the programming teams was to become hyperconservative–to take no gamble by developing innovative features that could possibly jeopardize the mandatory release date, and to emphasize cosmetic changes that have no risk of causing major problems. And it guarantees that something like what is happening today would happen a decade or so down the line. Ten years later, that is exactly what happened. We now have Camera Raw. 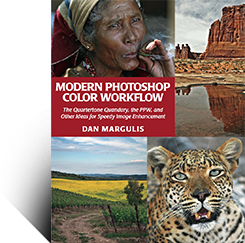 Other than that, Photoshop CS6 is considerably faster than Photoshop CS, but in terms of serious new imaging capabilities almost nothing has improved. Photoshop CS was a reasonably good release, but CS2 and CS3 were inferior, and things reached their logical conclusion in Photoshop CS4, which largely consisted of poorly thought-out and completely unnecessary redesigns of long-standing interfaces. Unlike many if not most authors, I buy my own software. I did buy Creative Suite 1 in 2003. I got a free copy of Photoshop CS2, because I participated in the beta program, but I didn’t use my free copy because I thought CS1 was better. Photoshop CS3 was also disappointing. Still using CS for most production, I bought CS3 late in its life because I knew that the likely alternative, Photoshop CS4, was going to be even worse. Sensibly, many professionals decided not to downgrade to CS4. Sales plummeted. Financial analysts looking at Adobe concluded that the main problem with the company was that it wasn’t getting enough continuing income from people like us, who already own their products and are thinking about updating them. The obvious response–produce updates worth buying, and people will buy them–wouldn’t quite work, any more than today’s irate response can be quelled by simply reversing the rental-only announcement. The problem then was that buyer attitudes had changed. For the first decade of Photoshop, we assumed that we were going to buy into the next update. After all, it’s not tricky to make something worth spending the modest upgrade price on–just speeding up performance would do it. After three successive updates–CS2, CS3, and CS4, each of which had serious downsides that were directly related to the finish-by-a-certain-date-or-else pollcy–attitudes changed. My presumption was, I would *not* be buying CS5. I was pleased to find I was mistaken: it offered some nice productivity increases, so I bought it. Same thing with CS6–my advance assumption was that it wouldn’t be any good, but it turned out otherwise. Nevertheless, a world in which people assume that they will *not* buy a product is a very different one from when they assume that they *will*. Which means that nothing obvious that Adobe could do would produce the level of update income that they need. Instead of trying to solve this problem in a creative way, the response has been repeated efforts to coerce us into buying things, most recently, the announcement that provoked the current uproar. The problem that the recent announcement was responding to was real, but it was the direct and inevitable result of the dumb decision a decade ago. Furthermore, in the last couple of years, management has shown that it understands why it was wrong: one of the justifications for the mandatory software rental is that it will liberate the programming teams and allow them to issue updates whenever they like. Instead, I said, Adobe should have adopted the integrity-of-the-applications-comes-first policy that they seem to have accepted today. I said that those buying the Creative Suite should be buying the programs as they exist today. Recognizing that people might be annoyed if, having purchased, one of the other programs updated the following week, I said that the purchase price should include, for free, any updates released in the next six months. And I suggested that buyers should be offered, for a fee, a renewal of that privilege for one or two more years, IOW, continuing the ability to take any updates whatever they might be. If they did not accept, but wanted to update at a later time, they would find they wouldn’t have saved an enormous amount of money as opposed to continuing their subscription. And thus, I suppose, I am the father of Adobe Creative Cloud. That approach, subscription without rental, was correct in 2003, and it is still correct today. If it had been place all along it wouldn’t have guaranteed success, a lot would still have depended on the individual teams, but at least it wouldn’t have guaranteed failure. A pure rental program running alongside it would be a welcome alternative. On Monday, Adobe is to announce that Photoshop CC and its brethren are available for download. Normally this is the occasion for a lot of hoopla. In the context of what’s happening, it’s more of a moment of danger than it is of opportunity. What an intelligent management might do at this time is irrelevant. What the *current* management might do will fall into one of the following categories, with the following consequences. They must be taken in the context that the wave of protest seems to be subsiding; you can still find plenty of negative comment everywhere, but it’s not like it’s completely dominating discussions any more. *A very low-key announcement, without reference to the controversy. Result: probably almost nothing. *A strong push to buy into Creative Cloud, without reference to the controversy. Result: the merry-go-round restarts right away. *A minor concession of some kind, accompanied by the snarky and condescending tone of the earlier announcements: Even worse. *A complete reversal of the rental-only announcement: almost as bad. A lot of sharks are circling, this would be throwing blood to them. *A strong reassertion of the rental-only policy: about as bad as the last three. *A partial reversal, such as the plan outlined above, or the ability to leave the rental program with a buyout option so that we aren’t left without working software: might work but would require precisely specified details, which Adobe probably can’t provide at this point. *A noncommittal statement expressing concern, making no promises, but not reaffirming rental-only (e.g. “We are troubled by the reaction to our earlier announcement and are taking the concerns expressed very seriously. We are reconsidering our position in light of the user feedback.”): probably the safest course. Which of these choices are made is anybody’s guess. This event is unprecedented. It’s similar to what happened to Quark less than a decade ago, when enough users got disgusted enough with the company’s management that a trickle of them decided to try out InDesign, and the trickle became a torrent. The magnitude was much less, however; the users weren’t as angry as they are today, and there weren’t nearly as many of them, nor did they have as many online outlets. Still, it was enough to transform Quark from the page-layout program of choice for professionals into a fringe player. Several things will be disrupted by the fact that the “current” version of Photoshop will only be in use by a small minority. Historical practice has been that enough people always buy into an update that it supports a considerable training industry and a developer community. If only a relative handful of people have the product this industry withers. For the moment there isn’t any need to be terribly upset. CS6 is only a year old; those who bought it weren’t expecting to spend more on such software this year nor should have Adobe assumed otherwise. Photoshop CC doesn’t add much, and there’s no reason to pay a lot for it considering we already have paid for CS6. That the rental-only announcement will be reversed or heavily modified is obvious; even assuming that Adobe can survive the torrent of abuse, and that we don’t see a sharp dropoff in Lightroom sales as a protest against the new policy, it’s clear that a healthy majority of Adobe clients are simply going to refuse to buy into it. This year, that won’t have enough impact on the bottom line to change things; next year, it will. In response to questions about the PPW panel and Photoshop CC: a lot of development work to make a compatible panel took place before we knew that Photoshop CC would be limited to Creative Cloud users. There is no point in discarding this work, so we expect to make what we believe to be a compatible panel available in the next few months. Warning, though: because the number of CC users will be so small, we will not have as much feedback as we would like, which means that the panel may not be as reliable. Meanwhile, for believers in the maxim that those who ignore the lessons of history are condemned to repeat them, here’s a column I wrote in early 2004, talking about the rapid change that the industry was undergoing, specifically the introduction of Creative Suite, and the strong move away from Quark. Presumably it should remind us of another maxim: when history repeats itself, it does so first as tragedy, then as farce. Well stated as usual. I haven’t given up scouring “alternatives” for professional retouching. The only one that I have found that handles Lab and CMYK is PhotoLine (pl32.com). Seems like a decent small company. Although we can get a lot of miles out of almost all previous versions of Photoshop, it’s good to know. I generally agree with most of what you’re saying. My biggest problem with this rollout, as it is, is that the consumer has no choice at all in the matter, and for professionals like myself, who have to keep the latest versions of software to accommodate clients, we are literally being forced into something we may not want. But the issue being ignored and hardly mentioned anywhere that troubles me the most is the new licensing agreement that goes along with your new Creative Cloud service. It’s sort of like a cross between Facebook and the worst credit card you’ve ever had. I don’t know if I can, in good conscience, agree to the new terms and conditions. When I’ve asked a couple of the more vocal Adobe defenders about this, they conveniently skirt the issue, even though they have spent most of their adult lives speaking out against similar terms and conditions. Anyone who has taken the time to read through these terms should be seriously worried. I don’t know how serious Adobe is about them, but the fact that they are there is enough. There is still too much unknown about what is coming to make any kind of decision, but we only have another month and a half to decide whether or not to take advantage of the introductory offers that are available. Abobe had already gone to great length to become know as the tech company with the worst tech support in the industry (save Corel) but this debacle has completely soured me on Adobe as a company, and I’m sure I speak for many many people. Peter, your point is very valid. Prior to this latest controversy, which brought the issue to more people’s attention, I had recommended CC to several people. I don’t believe I could do so any more, now that I understand these terms. *Adobe is under no obligation to continue Creative Cloud. It can stop supporting it at any time, for any reason or no reason at all, without any notice, leaving you with useless software. *Adobe has no responsibility for maintaining its servers. If something shuts them down for a few days and they don’t have enough staff to get back up again, you have no recourse when your programs stop working. *Adobe has absolute, unlimited power to refuse to reactivate you at any time, for any reason they deem sufficient or for no reason at all. If, two years from now, they run across your comment and decide to teach you a lesson, they can cut you off and you have no recourse. *If they do any of these things that are clearly permitted by the terms, and you nevertheless decide to sue Adobe, you must do so only in Santa Clara County, California. Anybody, therefore, considering signing onto CC needs to answer these questions. 1) Does the deal make sense for you financially? 2) If so, are you willing to accept these terms? 3) If so, are you willing to do business with Adobe at this moment, in view of their recent conduct? For me personally, the answer to #1 is negative, so I don’t have to worry about #2 and #3. But for many others, the answer to #1 may be positive, in which case they’ll have to make up their own minds about the other two questions.